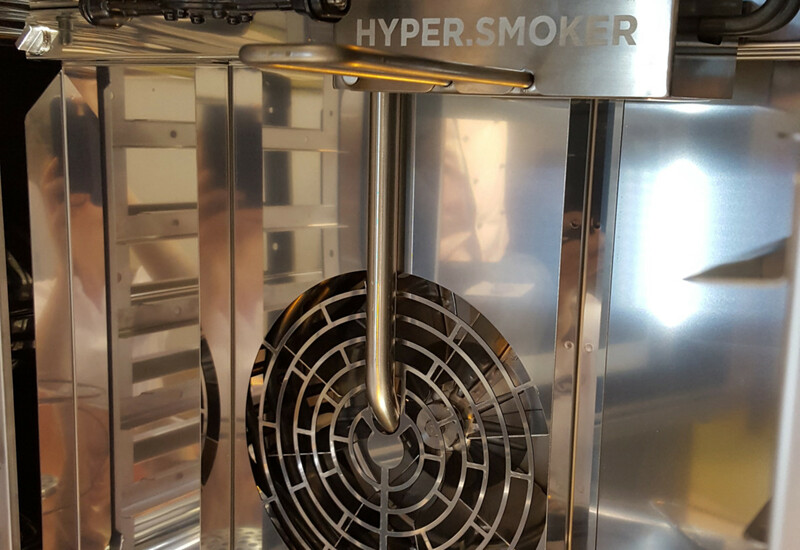 Operators are boosting profits without having to expand their cooking equipment fleet by using combi ovens in evermore creative and unconventional ways. With more technological advancement on the horizon, are you getting maximum use out of yours? The versatility of the combination oven has become an asset within the foodservice industry and, as food fads come and go, the flexibility these appliances provide allows establishments to integrate the latest trends into their menus with ease. As well as the traditional steaming, roasting, grilling and baking functions for which combis are known, there are multiple advanced features that can enable chefs today to get even more from their investment. Whether it is broiling, griddling and bar marking or frying eggs, drying out tomatoes and producing macaroons, combis are a kitchen’s flexible friend. Convotherm 4 ovens feature an ‘ACS+ system’ with automatic humidity adjustment for a precise cooking temperature and active control of air input and output. It works much like a pan lid to keep heat and moisture in the combi steamer, a system which also allows for perfect steam saturation, ideal for sous vide cooking. As humidity can be precisely controlled, some operators are even making the most of this capability by using their combi to dry out herbs and garnishes, helping to expand their menu and give dishes a fresh twist. 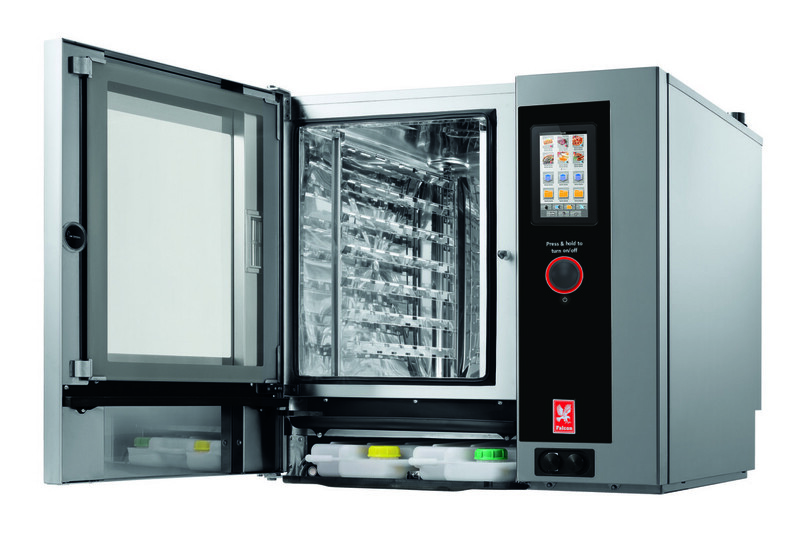 It isn’t just methodology that is making combi ovens so valuable within the world of foodservice. 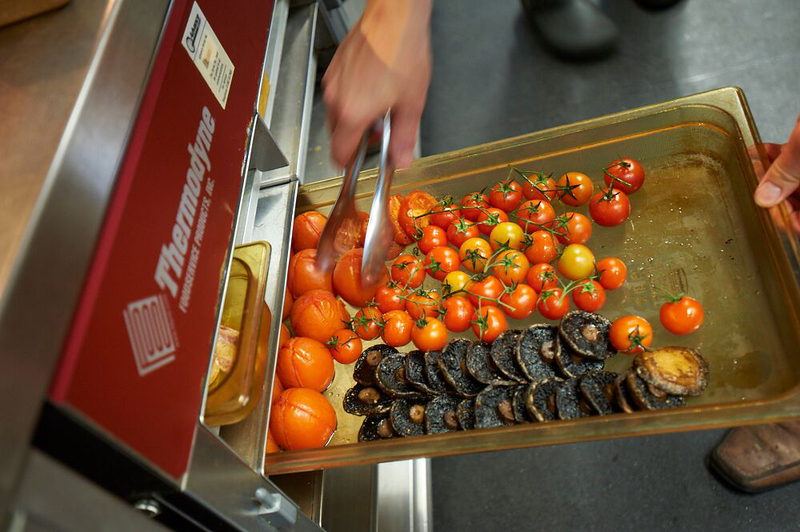 Another highly innovative use of the ovens in hot counter environments is that of pass-through cooking, where a product is loaded into a pass-through combi oven in the kitchen, on the raw side, and removed on the cooked side. “This reduces the risk of cross-contamination, which assists health and safety within both kitchen and customer-side environments,” notes Charlton. 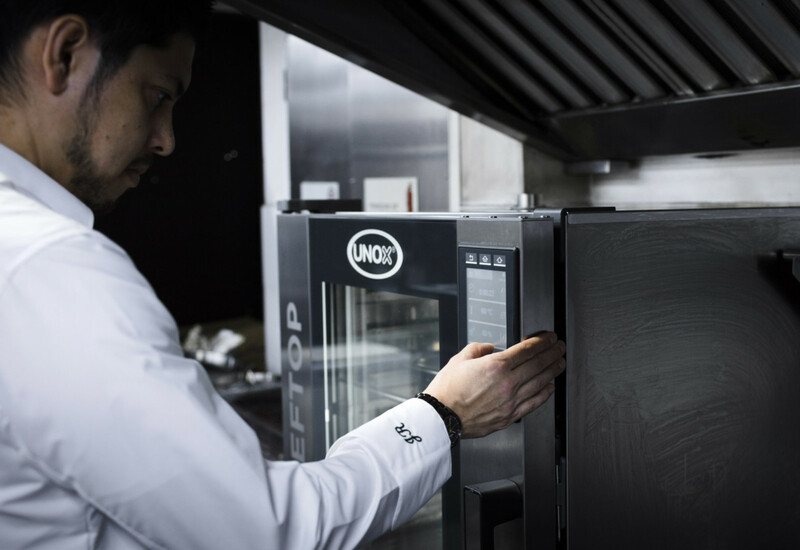 With today’s generation of combi ovens laden with features, there’s always the danger that there’s too much for chefs to take in. But those who do have the time to explore the options available to them will soon discover a raft of less-traditional ways in which they can use their ovens. Convotherm, for instance, offers a ‘Crisp and Tasty‘ mode on its ovens, transforming the appliance into a fryer. By removing the fat already on fried products, such as chips or breaded fish, the oven increases the caramelisation that not only provides a great flavoured end result, but also gives a far greater holding time after cooking. 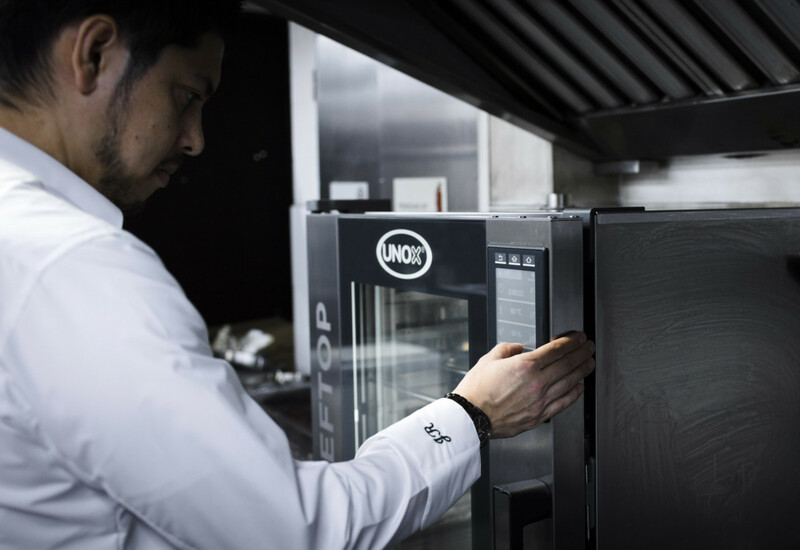 Kenny Smith, sales director at Middleby UK, which counts the Houno combi oven brand as part of its stable, says that, in general, many users have a thorough understanding of how to use the basic functions of the oven, as well as when to add moisture and humidity. But he has noticed that combining them into a program isn’t always done. “For example, the proving functionality is very useful if you want to control the proving step 100%. If you then combine it in a program with combi and hot air in the following steps, you can make the functionality easy, the product to a given standard and you save time not going back and forward to adjust the oven,” he explains. There is certainly an increasing technological edge to combi ovens these days. And the integration of software into the ovens is bringing added control. 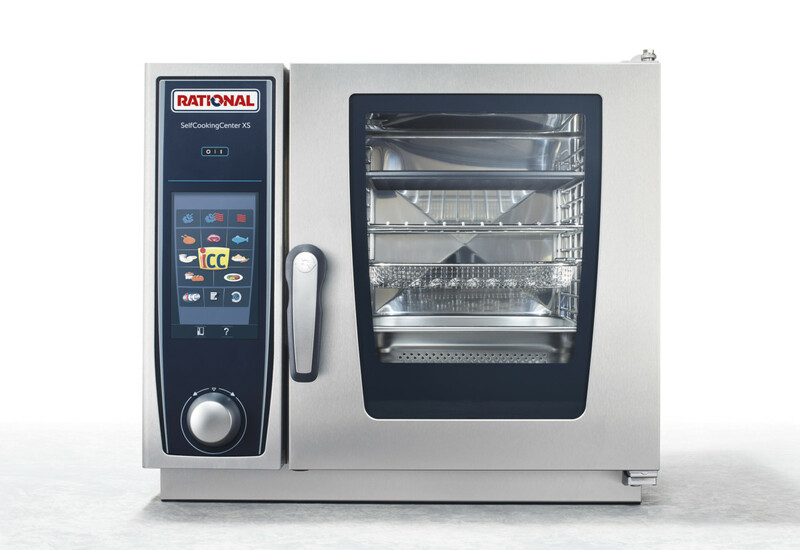 Rational’s SelfCookingCenter units come equipped with ethernet interfaces as a standard feature, offering full network integration through its ConnectedCooking platform. Networking also makes it easy to distribute new cooking programs, receive push notifications in real time, or transmit preferred unit settings to all connected units. 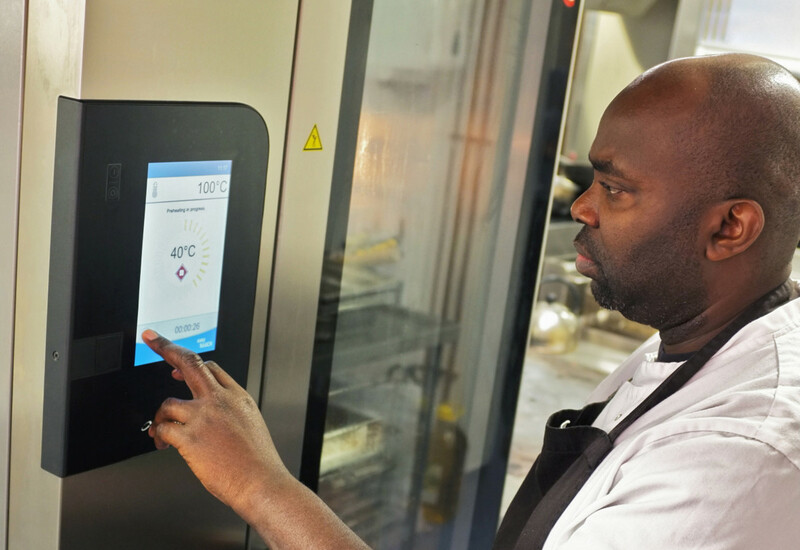 Paul Godfrey, UK brand director at Lainox, points to WiFi connectivity, multilevel cooking and intelligent cooking (where the oven supports the chef in validating which products are compatible to be cooked together to maximise efficiency) on its machines as features that are changing the way operators interact with their hardware. So where does the already technologically-charged combi market go from here? “There is a drive towards even more compact models, which can deliver the same performance and have similar features of conventional-sized units but on a smaller footprint, as well as larger capacity units with a more site-friendly footprint,” comments Shaune Hall, product development chef at Falcon. “Manufacturers are producing combis with more efficient and affordable self-cleaning functionality combined with boiler care and maintenance processes. The touchscreen technology is becoming more user-friendly, intuitive and informative with the benefits of being able to be accessed remotely,” he adds. 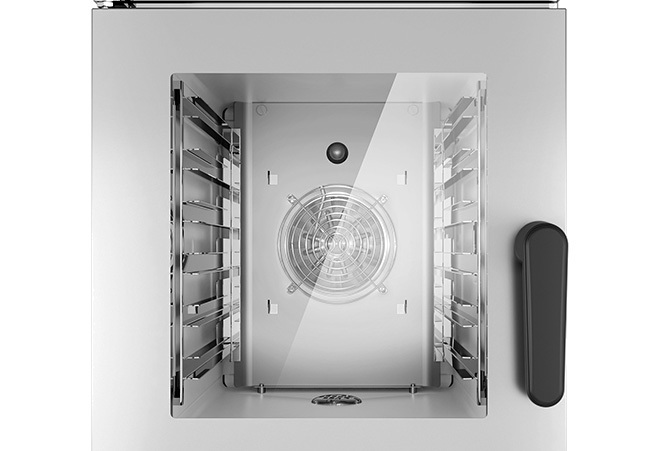 Hemsil at Welbilt agrees the emergence of countertop combis is revolutionising compact cooking. “In order to continue to evolve, the future of the compact combi oven is almost certain to increase the height rather than the width. This will still allow for a compact footprint, yet provide greater output capacity,” he predicts. 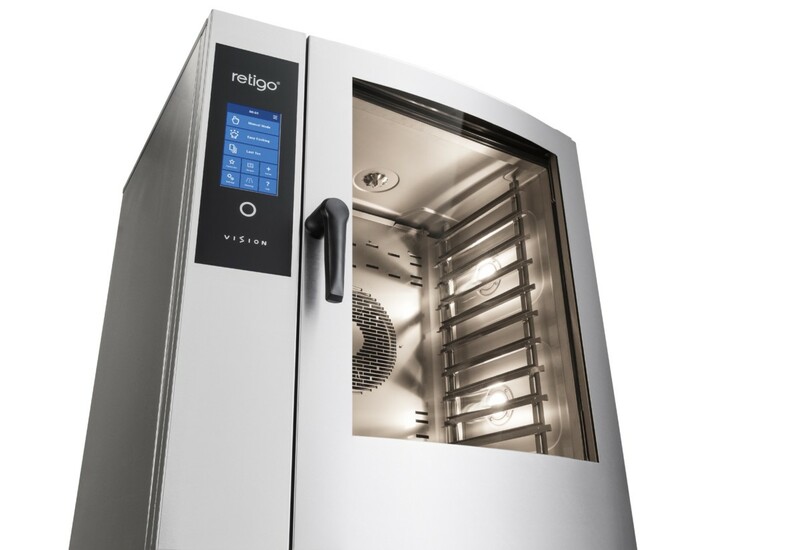 Rational’s Simon Lohse says its ConnectedCooking solution means its customers now have everything at their fingertips, even when they aren’t on location, something that would never have seemed conceivable just a few years ago. 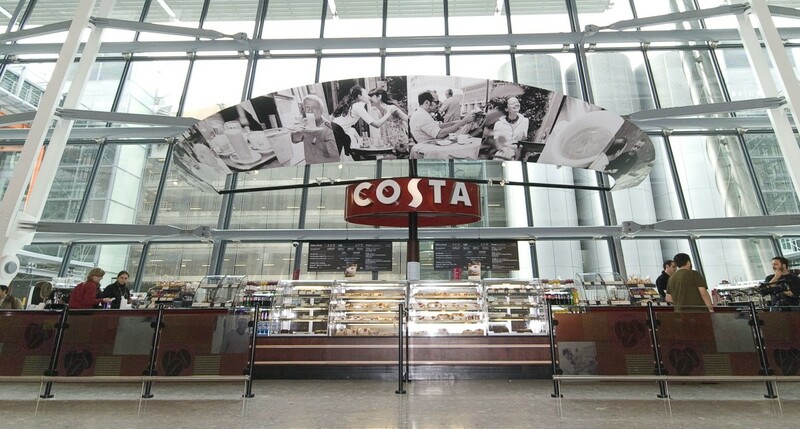 “Chain restaurants and companies with satellite kitchens, in particular, now have an easy, centralised solution for ensuring quality assurance and monitoring unit functions,” he says. He also believes that more manufacturers will incorporate blast-chilling functionality into their combis, permitting both cook and chill without having to remove the food. Whatever direction new R&D takes, the kitchen’s favourite flexible friend is worth its weight in gold to restaurant operators. In order to get the most from any combi steamer, it is vital for operators to monitor water quality. Failing to do so can lead to unit breakdowns, corrosion within the chamber and limescale, all of which can be costly to repair. 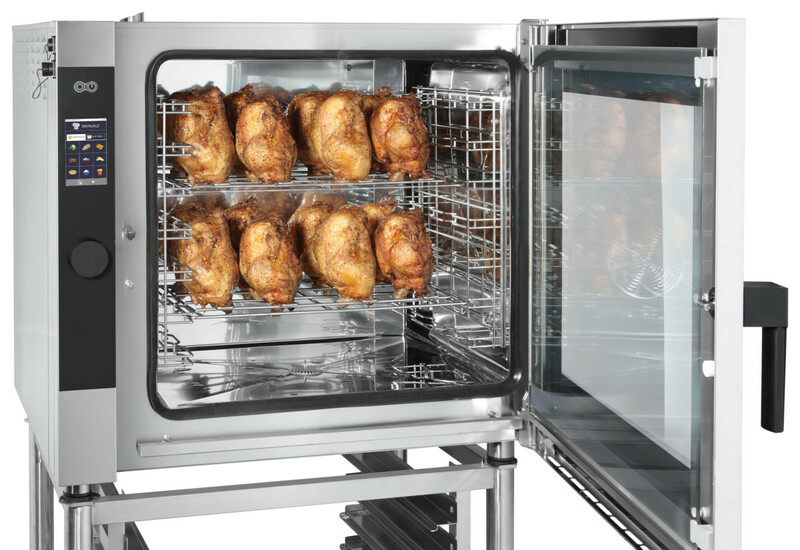 BRITA Professional specifically developed its PURITY C Steam water treatment system for combi ovens and steamers. The cartridge takes less than five minutes to install and helps prevent the build-up of limescale during the steaming process. By retaining metal ions and reducing substances such as chlorine, the filter helps chefs ensure that baked products as well as fish, meat and vegetables are consistently cooked to the very best quality. One remark operators often make is that they never know when to change a cartridge. But BRITA has launched a ‘FilterManager’ app, which provides an automatic alert when a filter change is approaching, allowing operators to plan their exchange in advance. After installing the app, users simply scan their filter using the QR code. This will calculate the change interval. Operators can then select the type of reminder they would prefer, including email, mobile and calendar notifications. The app is free and available from the App Store or on Google Play and is compatible on mobile, tablet and computer. BRITA says the development of the app was motivated by research that showed 63% of chefs didn’t know that untreated water can cause a combi oven to break down. As well as developments in how combi ovens are being used, there have also been innovations in the field of combi oven maintenance. This includes dealing with the issue of chloride- and sulphate-induced corrosion, previously only curable by installing an expensive reverse osmosis system. If you’ve ever noticed corrosion inside your combi ovens or on components that have failed, high chloride and sulphate levels in your feed water supply are likely to be the cause. Pentair Everpure recently launched the new Claris Prime filter cartridge designed specifically to protect equipment from mineral-induced corrosion in areas where there is high chloride and sulphate content in the feed water. The system is suitable for both combi steam ovens and espresso coffee machines, both of which are vulnerable to this kind of corrosion.